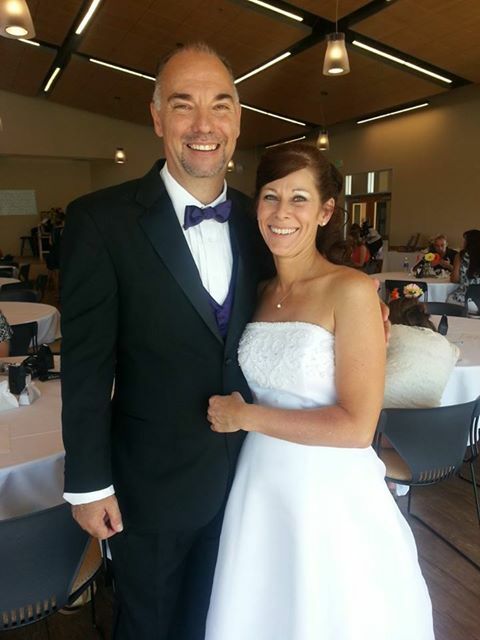 I've known Carma and Glenn for many years, and was so excited when I heard about their engagement, and even more excited when I received the call asking me to officiate their wedding ceremony! 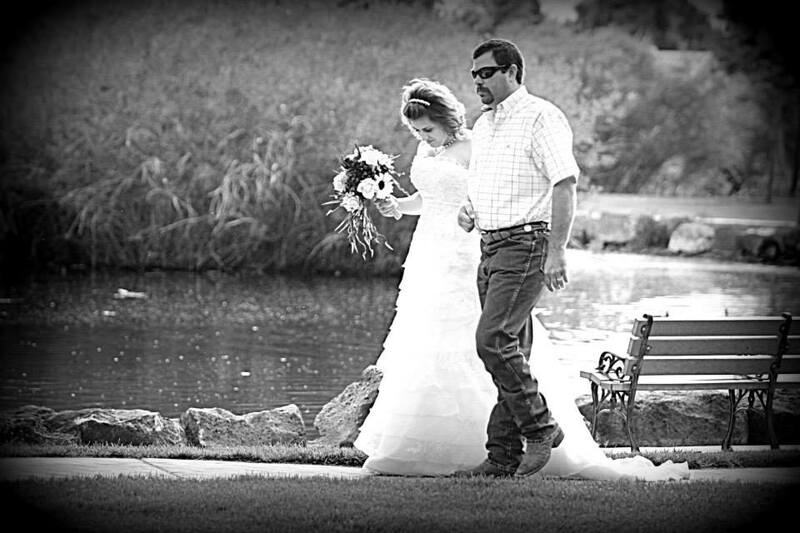 Their wedding was at the Center in the Park in Meridian, with the pond and water feature as the backdrop. 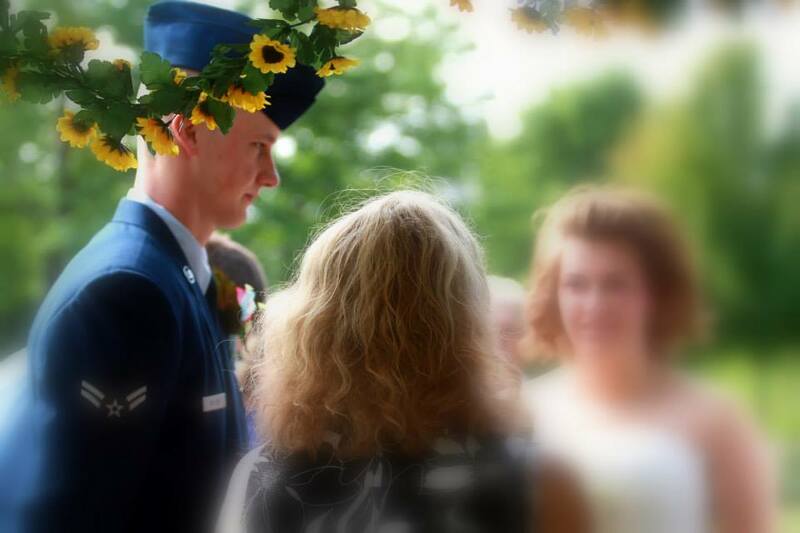 They were surrounded by the children, their families and many friends. 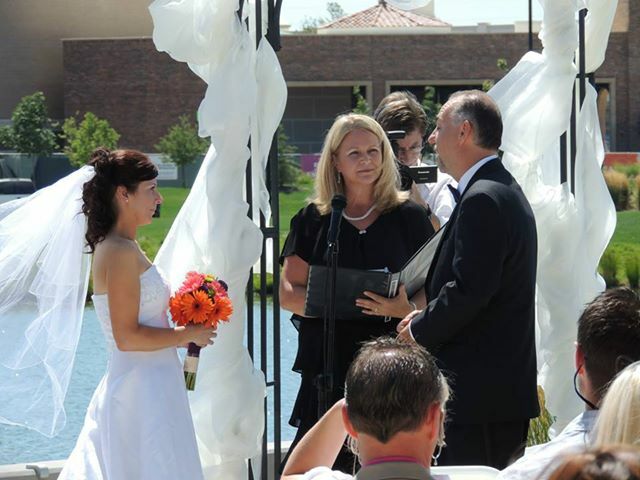 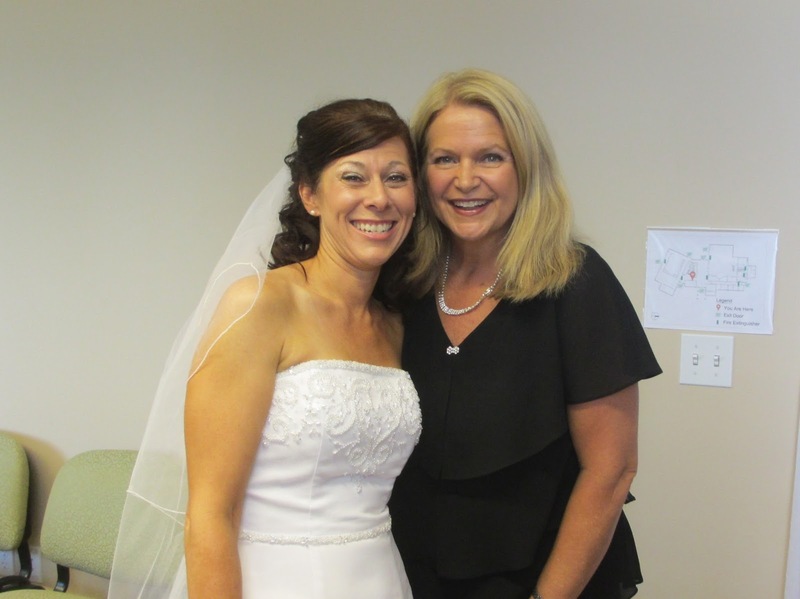 It was a sunny (and hot) July day as Carma and Glenn pledged their love, and special vows, to one another. 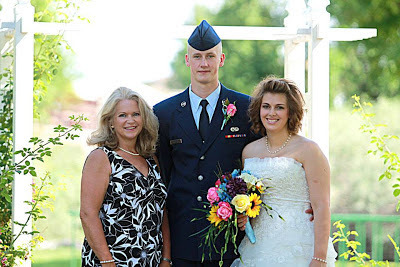 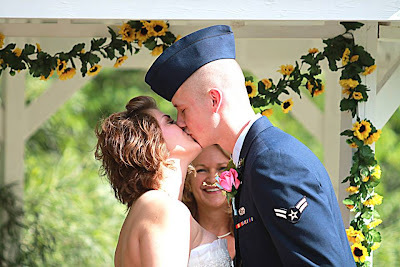 An All American Wedding on July 4, 2013! 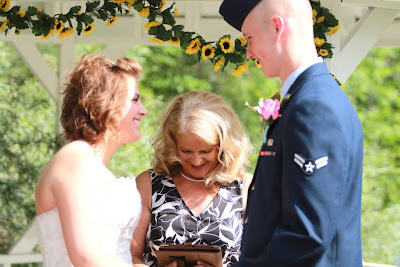 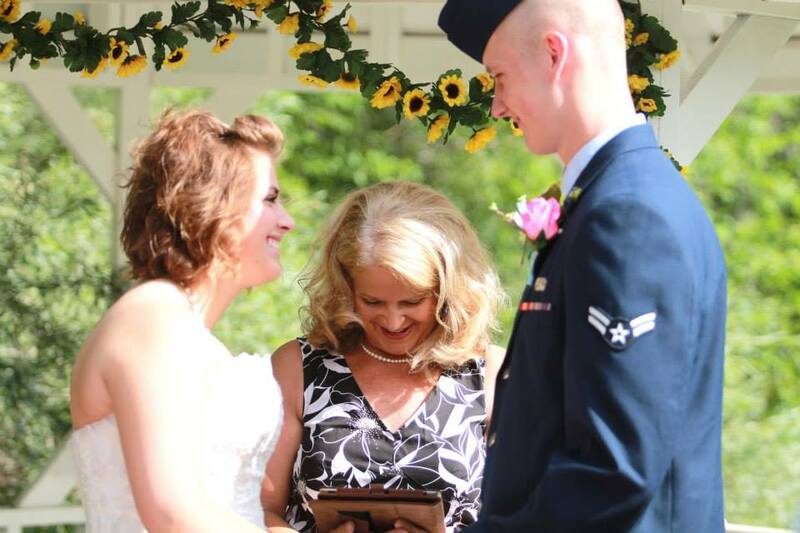 A military groom in his dress blues, and his beautiful bride, were united in a star-spangled ceremony in Legacy Park in Mountain Home. What an awesome way to start your new life together and celebrate America's birthday - sparklers, fireworks and fun for many years to come for Riley Meyers and Shayla Bryant! 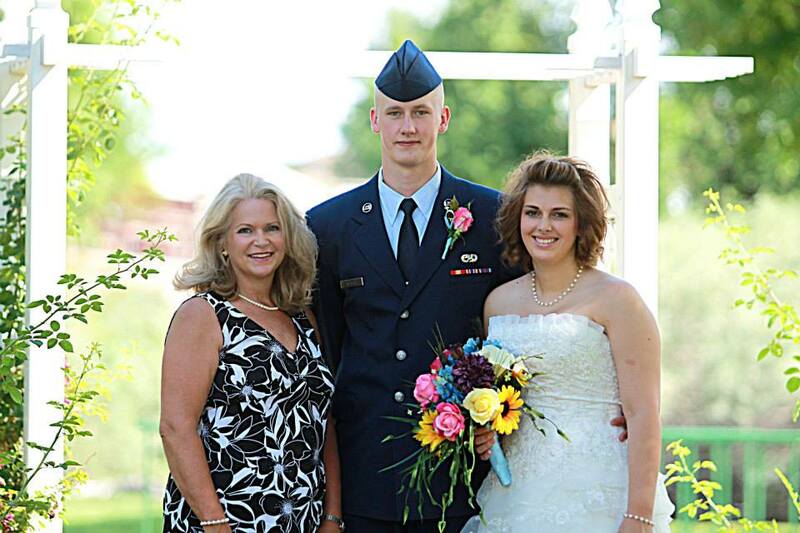 Officant Vicky Prouty, Riley and Shayler Meyers!